With only a capitalization of P10,000, Atty. Cecilio V. Gillamac and Flora S. Gillamac, CPA, organized Gillamac's Marketing as a sole proprietorship. Its first store was a humble shop along Junquera St. in Cebu City, where Gillamac's was the exclusive dealer for Norkis Trading, the local distributor of Yamaha brand of motorcycles. It wasn't long before major names in the industry also came to trust in the Gillamac name as a viable marketing venue for their products. These included 3M Philippines, distributor of the world-famous Scotch brand tapes; Shell Philippines; Honda Philippines; Suzuki Corporation; Delsa Industrial Philippines, distributor of Kawasaki motorcycles; Noritake Philippines; Union Motors, distributor of the Minica car brand; Francisco Motors, distributor of the Pinoy jeepneys and Mazda trucks; Makati Machineries, distributor of Ruggerini multi-purpose engines; and Sv-Agro, distributor of turtle power tillers. As with all successful companies founded on a keen, enterprising grasp of the market's need, sharp business acumen and a strong drive to succeed, Gillamac's Marketing was bound to grow. And grow big it did. Gillamac's Marketing, Inc. became the springboard for extending into other concerns where the family members felt needs were not addressed. From the tumultuous period of the early 1990s, a time marked by an oil crisis, natural catastrophes and exchange rate fluctuations, sprang the roots of a different kind of venture, the Gillamac Life and Pension Plans. In 1993, in the middle of a spree of real estate purchases and store renovations by the corporation, the Gillamac Development and Lending Corp. was formed in order to provide low interest loan-financing for small to medium sized enterprises. The Gillamac Diagnostic and Medical Laboratories was organized in 1995 under the leadership of one of the Gillamac children, Dr. Alan S. Gillamac. With the aim of "Promoting Health Care Rather than Gaining Profit", this facility provides the public with high quality laboratory services backed by state-of-the-art equipment and highly qualified medical and laboratory team. Since the appliance division had been set up the next venture was to look into the product of tomorrow - computers. In 1997, Gillamac's introduced its own brand of computers, OCLAR Computers, taking its name from the acronym of the five Gillamac progeny. 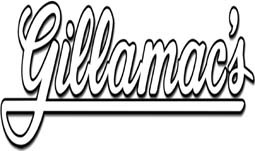 In 1999, sensing the need for quality computer education at affordable rates, the Gillamac Information Technology Center, Inc. was incorporated, franchise and operator of the school system, Systems Technology Institute. The schools are housed on the upper floors of company-owned buildings. GITEC presently operates STI schools in Ozamis, Tagum, Digos and Kidapawan.